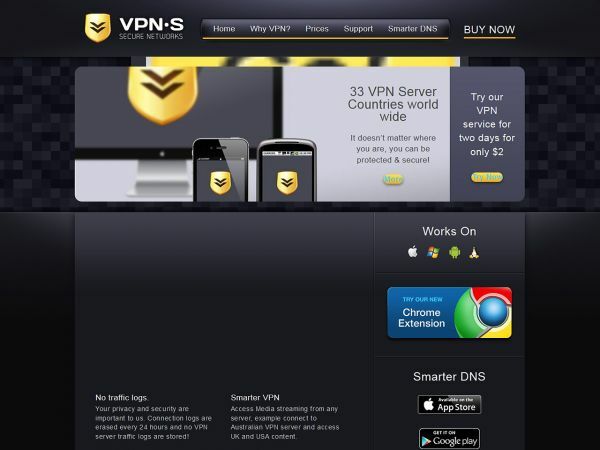 VPNSecure.me is a popular provider of virtual private network (VPN) services, with secure servers based in 36 different countries. Anybody looking to find enhanced online security is well advised to check out their payment plans. Customers with media streaming needs will be particularly impressed by the Smart DNS service supplied in with all VPNSecure.me plans. The popular Open VPN plan from VPNSecure.me is available monthly or at discounted rates for six months or over a year. The company also sell PPTP, HTTP Proxy and Smart DNS plans for customers with more specific requirements. Payment can be made by a number of methods including credit/debit cards, Paypal or Bitcoin. Where customers are looking to trial out the service prior to buying it’s possible to sign up for a free one day trial via the sign up page, or pay $2 for a two day trial of Open VPN or PPTP. Customer support is available via livechat or an email ticketing system, there is also a forum for customers which offers basic advice on troubleshooting. They offer servers in many countries. These are all available server countries: Singapore, Netherlands, Mexico, Austria, Ireland, Isle of Man, Hong Kong, Romania, Italy, Russia, France, India, Egypt, Sweden, New Zealand, Costa Rica, USA, Chile, England, Sweden, Portugal, Japan, Panama, Iceland, Finland, Australia, Switzerland, Spain, Germany, Luxembourg, Turkey, Ukraine. The free trial of the VPNSecure.me service is limited to Windows devices only and is just based on one server in the United States, with a data limit of 600Mb total. It will give consumers a taste of what the service does, though, and also provide an indication of whether it’s the right choice of VPN provider. VPNSecure.me do have a stringent anti-copyright theft policy in place, which included blocking access to Pirate Bay. Many consumers might actually be planning to sign up for VPN services purely because they wish to carry out P2P, torrenting and filesharing activities anonymously, so in these circumstances VPNSecure.me is not the right choice of provider. Where customers are looking for a fast, encrypted service that gives security online this is a great provider. From the perspective of simultaneous connections, VPNSecure.me operate a generous policy saying customers can set up their plan on ten computers if desired, however the only proviso is that the customer is definitely the only user of each device. In this respect, users will find they can connect mobile devices and other Internet-enabled devices in the home to the service. The Smart DNS service allows fast streaming of blocked channels from around the world. Where users enjoy streaming films from Netflix US or US sitcoms from Hulu this is a great addition to the plan allowing connections to a Smart TV. Trial DetailsTheres a completely free version with limited benefits.